Crossing the Equator at the Prime Meridian. Certified Marine Surveyor, National Association of Marine Surveyors, Inc.
American Boat and Yacht Council, Inc.
St.Olaf College, Northfield, MN, B.A. Over 100,000 miles of off-shore sailing experience on the Great Lakes, the East Coast, Florida, the Bahamas, the Caribbean, the Atlantic and the South Pacific. Captain, navigator, and crew on 40' to 268' boats. Has achieved the following: Trusty Shellback in 1972, Golden Looper in 2009, and Emerald Shellback in 2012. 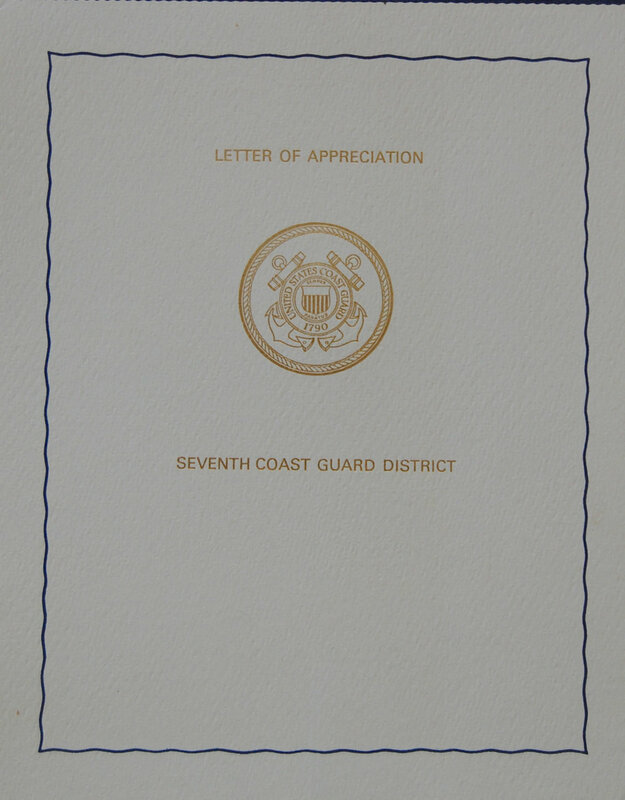 Recipient of U.S. Coast Guard "Letter of Appreciation" for participation in the rescue of the crew of the Mary E II during the Southern Ocean Racing Conference 1976 Miami-Nassau race. Since 1982: Independent marine surveyor for banks and insurance companies. 2013–2016: Offshore Supply Vessel mate, Gulf of Mexico, GOL and Harvey Gulf. 2008–2012: Crewboat captain in the Gulf of Mexico and West Africa. 1986–1999: Operations Manager, Port Superior Marina Association, Bayfield WI. 1985–1993: Independent vessel documentation agent for various banks. 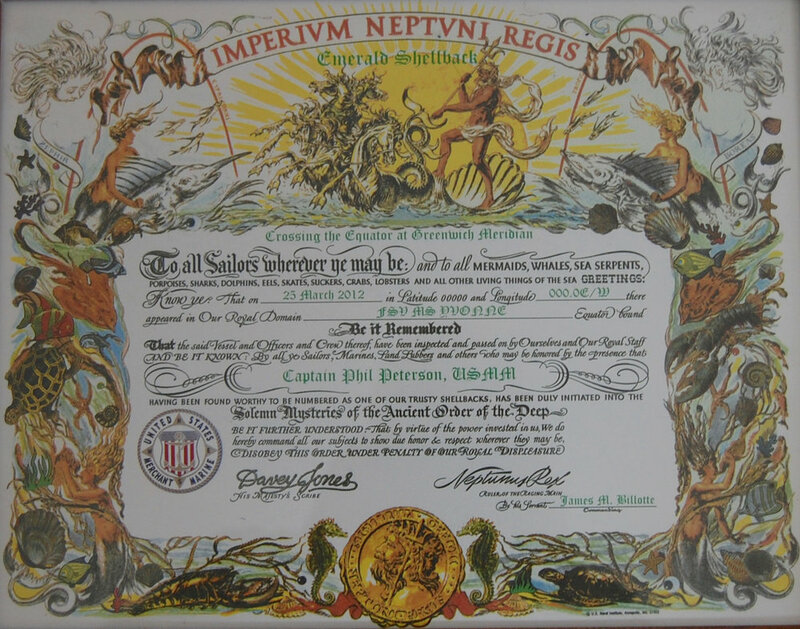 1978–1987: Yacht Captain various winters in Florida, Bahamas, and Caribbean. 1981–1982: Excursion Boat Captain, Apostle Island Cruise Service, Bayfield WI. 1977–1980: Vice President and Charter-Master, Sailboats, Inc., Bayfield WI. 1973–1975: Sales Manager, Sailboats, Inc., Excelsior MN. 2006–2008: Board Member, Bayfield Regional Conservancy. 2004–2012: WITC Marine Technician Advisory Committee. 1989–1994, 2002-2006: Treasurer, Bayfield Heritage Association. 1986–1987: President, Bayfield Chamber of Commerce. Some of Phil's awards, honors and certificates.